WeddingWire, the nation's leading online wedding marketplace, named Floral City Images as a winner of the prestigious WeddingWire Couples' Choice Awards® 2018 for Photography in Monroe & Toledo! We would like to thank our past clients for taking the time to review our business on WeddingWire. We value all of our clients and truly appreciate the positive feedback that helped us earn the WeddingWire Couples' Choice Awards® for the past 4 years! Two things make the perfect photographer for a day as special as your wedding- clear communication and beautiful photos. To me, they’re equally important. I didn’t want to spend the day of my wedding ensuring that we had a solid timeline and hit every photo, I wanted to enjoy the best day of my life. That’s exactly what the Floral City team offers! We met about a week prior to the wedding to talk final details, and then I got to relax and enjoy the day knowing that Dave, Sue, and Heather understood what we were looking for, and had everything under control. I just received my sneak peak, and they’re absolutely spectacular! Stylistically they walk a line between classy and artsy, which was exactly what we wanted. We also booked their Magic Mirror photo booth, and our family and friends loved it so much that most left the mirror to get back in line again. The Mirror added an extra fun element to the reception- it was perfect! Floral City Images did my wedding in October. Steve and I are very happy with The level of professionalism we received both on the day of our wedding and leading up to it. Heather went above and beyond multiple times throughout the process to be sure that we were 100 percent happy with her services. I would highly recommend them to every engaged couple and family. Dave and Sue are amazing! They're an amazing team who felt like our long-time friends after one meeting with them. They do whatever they can to make their clients happy. Both of them create such a sense of ease, that I never once worried about anyone being uncomfortable in front of the camera. They love to capture both posed shots and genuine candid moments. I loved that they let my husband and I be our normal silly selves, and kept the cameras going! I truly wish I had a reason to work with them again. I can't wait until I do! Dave, Sue, and Heather are amazing. They are so patient have amazing ideas. My now husband is blind and they were all so helpful, making is feel very comfortable. I am so glad we found them. Floral City Images is the photography company you want if you want the best possible photographers and experience for your special day. Thank you so much! Dave and Sue, along with Heather are great. We enjoyed working with them through our entire engagement/wedding journey. They took our engagement photos, wedding photos, made our save-the-dates and thank-you cards and everything turned out wonderful. Our guests at our wedding really enjoyed the mirror photo booth and so did we. We have many wonderful photos to look back upon to remember the many wonderful moments during our wedding journey. I would recommend Floral City Images to anyone looking for wedding photographers, they made everything easy and simple. Sue and Dave did such a great job on all things photography. Not only were the pictures amazing - the products afterwards were also amazing. I love my photo album and canvas they did. These two worked incredibly hard, had great ideas, and also heard requests and executed them fantastically! I'd recommend them to anyone! Husband and wife team creates fun and relaxed photo atmospher! Dave and Sue were super fun to work with. Their funny banter helped keep us laughing even when posing for planned pictures. During the wedding and reception they were super discrete and other than certain planned photos blended in with the crowd and allowed us to forget we were even being photographed and enjoy each other at our wedding. Oh, and did I mention, their photographs are FANTASTIC! They have been great, I would recommend to a friend Floral City has been wonderful! I wouldn't hesitate to use their services again. The whole team was great to work with. Highly Recommend! Dave and Sue are awesome and our pictures turned out great! We highly recommend them!! As you search for the perfect wedding photographer, we would love to sit down with you and discuss your big day! 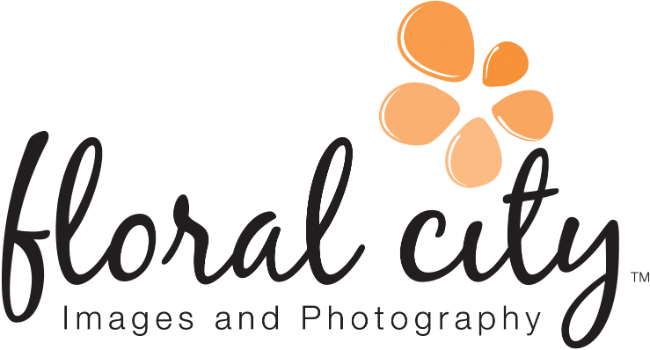 During your no-obligation consult we will discuss all the details of your wedding and how Floral City Images can help make your day smooth and memorable.